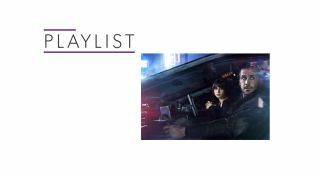 Blade Runner 2049 – 4K Ultra HD Blu-ray review | What Hi-Fi? Denis Villeneuve's sequel to Blade Runner gets a fantastic outing on UHD disc. Ridley Scott's Blade Runner was a misfire on its release in 1982, but history has been rather kinder to it since then. The cult film found a bigger audience fed by re-releases of The Final Cut. That led to a sequel being developed, with Denis Villeneuve in the director's chair and Ryan Gosling in the central role. Blade Runner 2049 shares similar DNA but it's a different beast – less of a direct sequel in style than an extension of the world. The Aliens to Alien, if you will. The story sees Gosling's K, a replicant and a Blade Runner who retires (kills) his own kind. As K uncovers a secret that has huge ramifications, it leads him on a search to track down former Blade Runner Rick Deckard (Harrison Ford), who mysteriously disappeared 30 years ago. The journey of discovery, for both K and the audience, examines tropes science-fiction has been digging at since its inception. What does it mean to be human? What defines humanity? The original film touched upon these themes, but they are given more weight in 2049, which makes for a more engaging story. If Blade Runner had little actual plot, 2049 goes in the opposite direction. Villeneuve's directorial style here is impressionistic, arguably too much so. The 163-minute running time leaves it feeling languorous and could turn off viewers. But it's a film full of many moments of breathtaking vision. You'd have to search far and wide to find a film from 2017 that's this well realised. While Blade Runner felt small and contained, 2049 aims for an epic and sweeping quality that's not far off David Lean's widescreen images. Whether it's the Brutalist architecture of Los Angeles or the trash mesas of San Diego, the artificial sunlight that drapes the Wallace Corporation's interiors or the arid beauty of Las Vegas, it's hard to look beyond Roger Deakin's Oscar-winning cinematography for how it contrasts the beauty and desolation of this world (although we still haven't been off-world). From a character perspective, it's less successful. Robin Wright's Lieutenant Joshi spends most of her time speechifying, while Jared Leto's narcissistic Niander Wallace prattles on about Mankind's destiny. They're not bad performances, they're just clunkily written. The most interesting characters are mostly non-human. Gosling's K is close to his lean performance from Drive (or his turn in the interminable Only God Forgives) – his search for a soul in an indecent world marking him out as the narrative's most sympathetic character. Sylvia Hoek's brilliant Luv, Niander's right-hand woman, is a ferocious but curiously immature creation. Ana de Armas' Joi is a stunning visual concept, an AI that blurs the line (certainly for K) as to what's real and what's not. And then there's Harrison Ford. He wasn't well-served by Scott's original film, playing a lonely character that had a rocky relationship with Sean Young's Rachel. That thread forms the core of 2049, beefing up the story in a way which redeems it somewhat. Ford gets to play a three-dimensional character, caustic and sarcastic (as he can be), and turning the role into one of genuine anguish and sadness. Though 2049 can be cool in its emotions, it wears them better than the original. Blade Runner arguably still has the measure of its progeny, but that speaks volumes as to how good 2049 often is. Bigger in scope, with more to grapple with and discern, it's a long watch but it's hard to take your eyes off it. 2049 was shot digitally with Arri Alexa XT cameras at 3.4K, receiving a 4K digital intermediate for its theatrical release. We'd lump it into the 'might as well be native 4K' category with Deadpool. Roger Deakins has stated that he's not a huge fan of HDR and we can't tell if the 4K is hugely brighter or darker than the Full HD Blu-ray as it would seem it's subtly implemented. Image consistency across the resolutions appears to be the key. The colours have received a boost, thanks to Wide Colour Gamut (WCG). They're enriched, and the texture and subtlety of the tones is more readily appreciable. The various oranges and reds, mixed with yellows and glossy creams in the Las Vegas sequence are gorgeously rendered. The lighting throughout is fantastic, with light sources seemingly improved. It's not that they're brighter, but more distinct. The hues get a better showcase on the 4K, such as the fluorescent tinge to the lights in K's kitchen. Fine detail is better resolved, whether it's the set design, facial details and makeup (Dave Bautista's Sapper Morton looks even more weathered). Textures of clothes and surfaces are better conveyed, including K's camo green jacket (which you could mistake for being black) and the dirt smudges and cracks in K's apartment. Blacks are immense, both firm and inky deep with Deakins sculpting the film with light and shadows (silhouettes are incredibly refined). Contrast is excellent with clean, pristine whites when they're meant to be. Complexions are healthy, varied and appear accurate, most erring to a warm, ruddy look while Hoek's Luv and Mackenzie Davis' Marionette veer to the paler side of the spectrum. It's an image that's high on clarity, with rich, textured colours and terrific black performance. The 4K highlights the quality of Deakin's lighting and Dennis Gassner's fantastic production design, resulting in a fabulous looking disc. This film is loud, but if we bust out the dictionary for a better word, it would be 'sonorous'. Bass is huge and expansive, rumbling through the soundstage. But it's well contained, never obscuring a sense of detail. Fine detail is excellent, whether it's the track conveying the crunch of footsteps on snow or the noise Joi makes when she transitions. It's more than happy with quieter scenes, the absence of noise used to great effect to hold attention. Voices are loud but well conveyed. Little details can be picked in the voices too, like when K visits Carla Juri's Stelline. She lives behind a glass panel and you can hear the slight change in how her voice is picked up when we're on her side of the panel or K's. Dialogue is centred for the most part, but can move round to other speakers to good effect. Atmos is well utilised in this aspect too, projecting disembodied voices with authority such as K's intimidating baseline test. The overall Atmos is an excellent one, with consistent activity in the height channels. Whether it's K's spinner, voices or Los Angeles' environment (it rains a lot), the height channels have weight and presence. The positioning and steering of effects are seamless as gunshots zip past, Spinners throttle across the screen and waves crash along the Sepulveda Wall in the film's climax. The surrounds aren't engaged too often, with background sounds parsed off to create a fuller, more expansive soundstage when the film calls for it. This is a soundtrack that radiates with power. It can overwhelm, but it makes for an absorbing complement to the film's images. Blade Runner 2049 captures that otherworldly sense of Blade Runner and in some respects it's better, if more straightforward than Ridley Scott's original. Multiple viewings allow you to soak up the film's details and 4K Blu-ray is the best avenue for that. It's a cleaner, slicker and richer looking image, the 4K Blu-ray allowing the film to showcase its sumptuous aesthetics. The Dolby Atmos soundtrack is among the best we've experienced. Like the original Blade Runner, its huge, expansive soundscape allows you to take in the details of this impressively realised world. Some may feel 2049 is overhyped, but we'd disagree. Once it gets its hooks into you, you'll be rewarded by one of the finer and more distinctive films of the past few years. A digital code is included inside along with an advert for Sony's 4K discs. The featurettes are small but informative. The most interesting extra are the prologues, of which the 2022 short directed by anime legend Shinichiro Watanabe is the best.